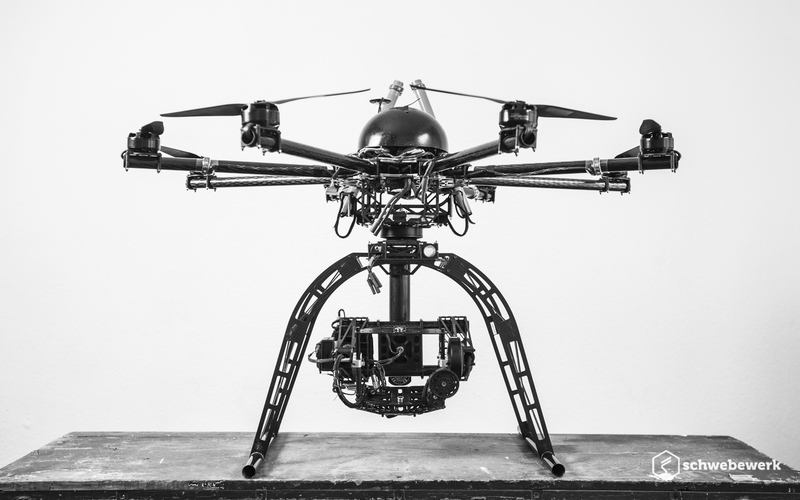 Schwebewerk is a Berlin based company specialized in high end aerial drone cinematography and drone hardware development. Schwebewerk was founded in 2015 by drone pioneer Stefan Müller, who is designing and flying drones dedicated for movie production since 2010. 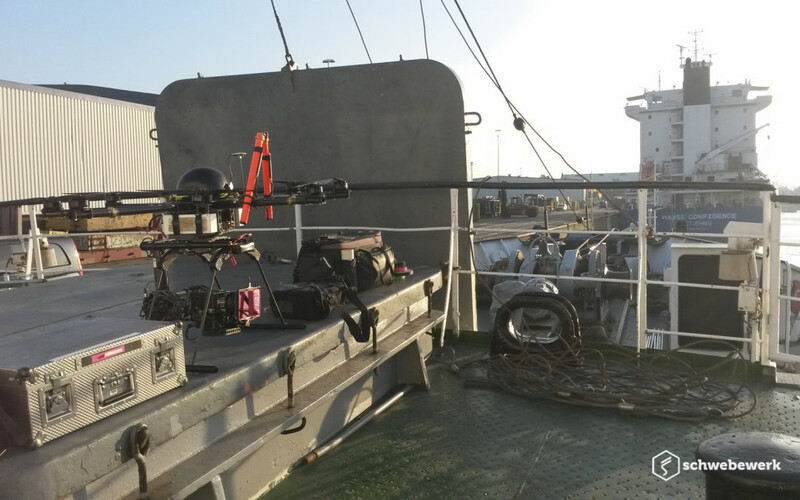 Amongst the early adopters of this new technology where undoubtedly DOP Chau Ngo, the BBC program ‘generation earth’ as well as Fast Productions Ltd. with ‘Fast & Furious 6’. 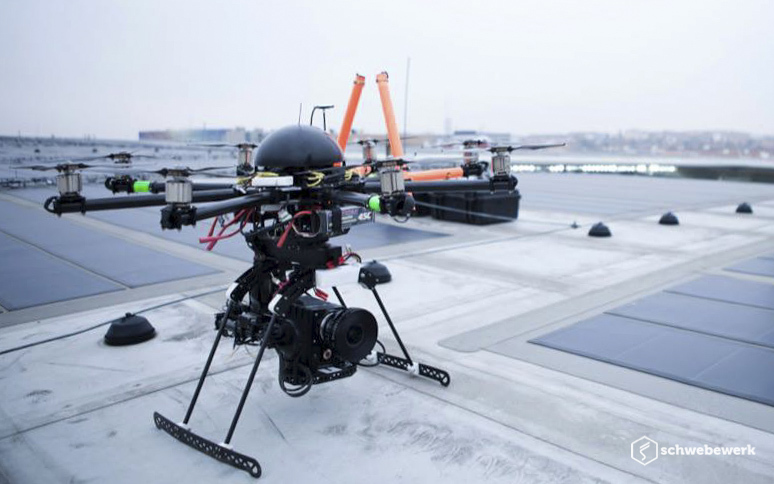 With the development of the Momentum gimbal and the X12 drone, Schwebewerk brought several years of on-set experience and unique ideas into a very capable toolset which clearly plays on top of the game. All our team members share the same passion for moving pictures. 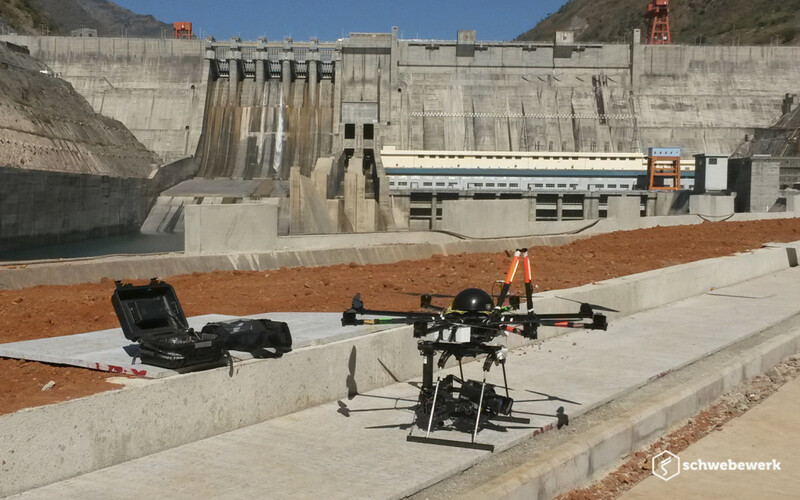 We look back upon a long history of drone operating projects and are therefore able to communicate visual ideas fast track. Our team consists of a small core accompanied by longtime friends and freelancers, who are regularly working as cameramen as well, when they are not operating with Schwebewerk. The Momentum Gimbal already existed in 2016 as an early prototype. 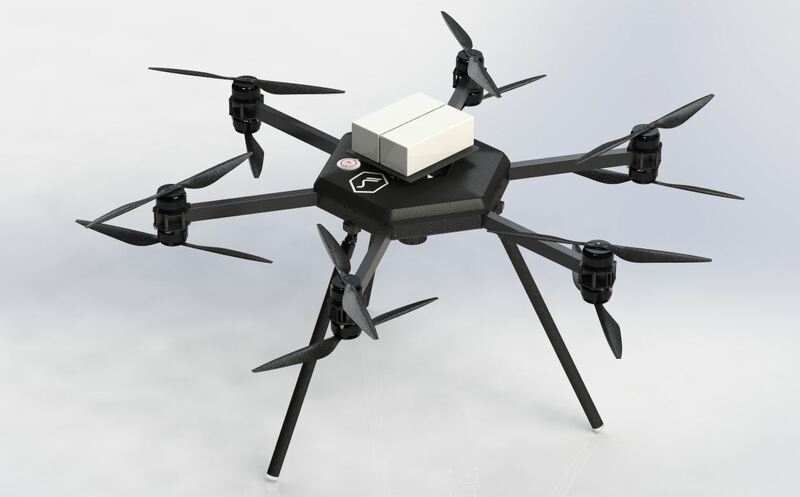 Yet, some of the final ideas would possibly not have been realized without the introduction of 3D Printing at Schwebewerk in 2016. Driven by the passion for bringing our own ideas to life, we started a complete redesigning process in 2015. Our aim was, to design a system, that would have been the primary choice for all the different kinds of production environments we worked on. 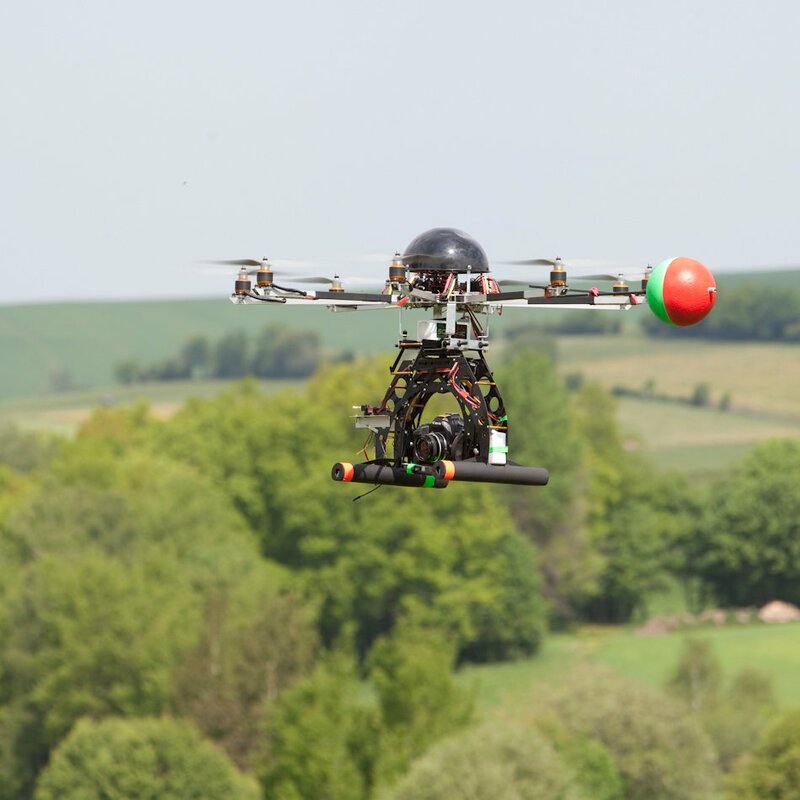 Compact but powerful enough for dynamic flying. Suitable for heavy lenses, but still sleek and lightweight. Featuring an extremely rigid core structure with easy access to all electronic systems. This is what became the Schwebewerk X12. 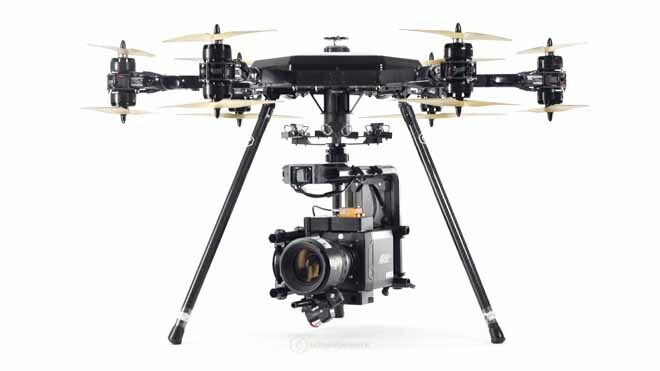 In end of 2013 the rc servo gimbal was replaced with a completely redesigned and lightweight Direct Drive Gimbal, which introduced a new level of stability. 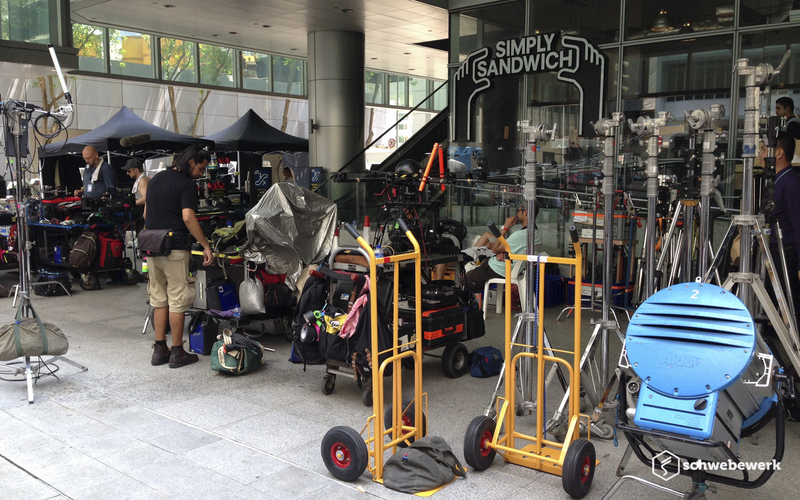 Productions using this setup have been german TV Series ‘Tatort Hamburg’, ‘Agent 47’ and ‘Der Nanny’ among others. 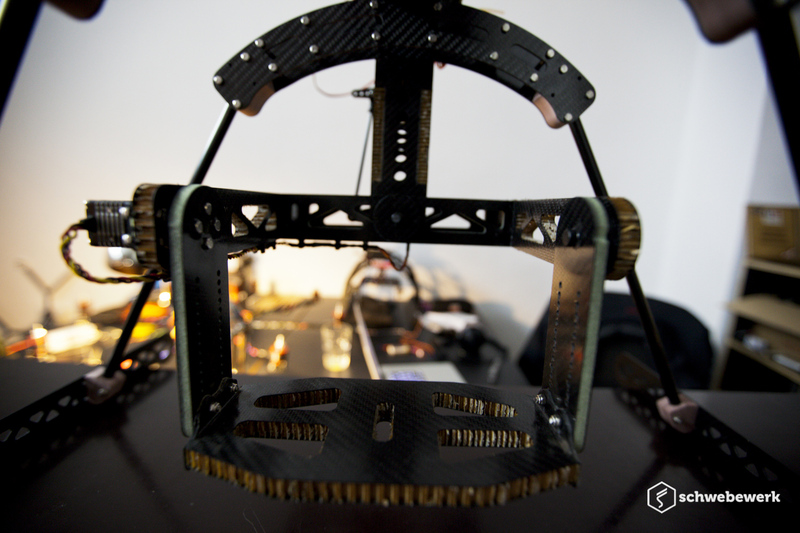 2013 brought a completely new propulsion setup, utilizing custom designed triblade Carbon Fiber Props, and made use of even more Carbon Fiber parts on the gimbal. 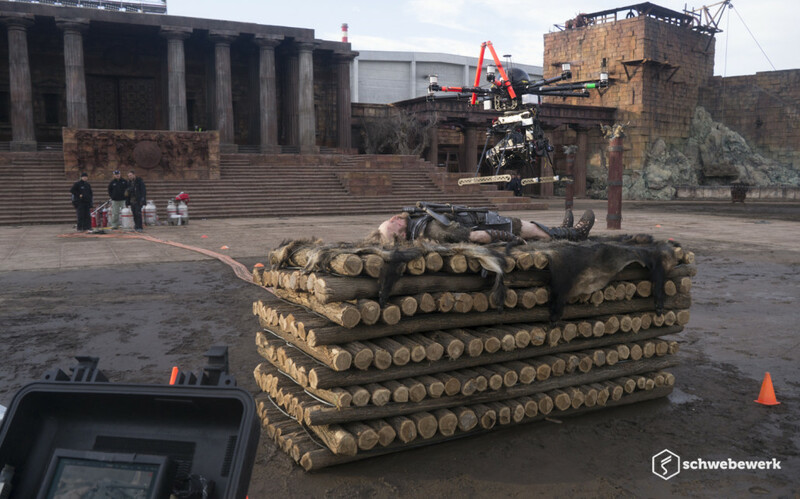 It was used on a variety of productions including a Sony Bravia Commercial and ‘Hercules – The Thracian wars’, where we covered a huge outdoor set for the VFX department. One of the first productions in 2012 was Til Schweiger’s ‘Schutzengel’. 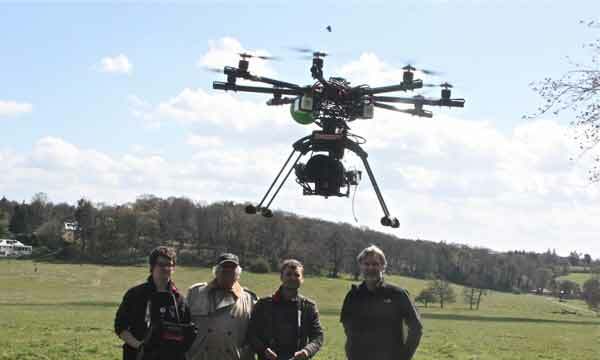 We met DOP Dean Semler and DOP Stephen Windon in Pinewood Studios on Pre-Production for Disney’s ‘Maleficent’ and were flying for ‘Fast 6’ in end of 2012. 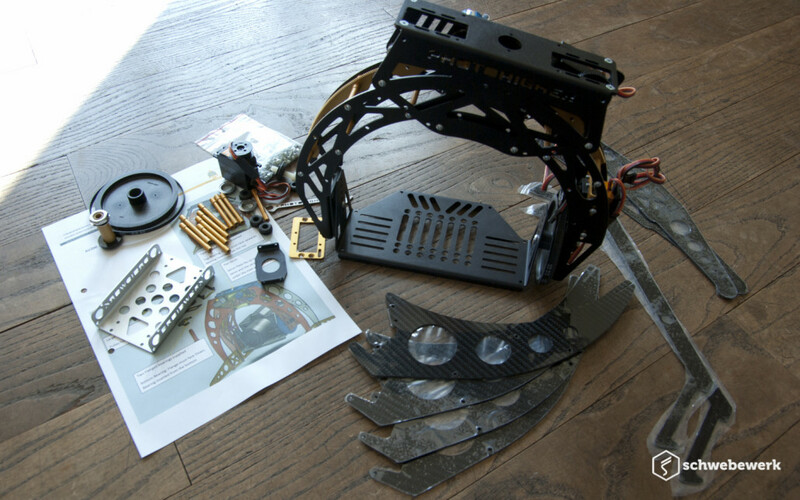 For ‘Fast 6’, we build a lightweight focus control, integrated into the gimbal. DOP Dean Semler wrote a sweet article about our test day at Pinewood Studios for Disney’s Maleficent. Literally a few days later it was used to work with DOP Chau Ngo on his feature film ‘Feiglinge’. Soon after that, Stefan was on a plane to Japan, filming a documentary about an abandoned island for the BBC. 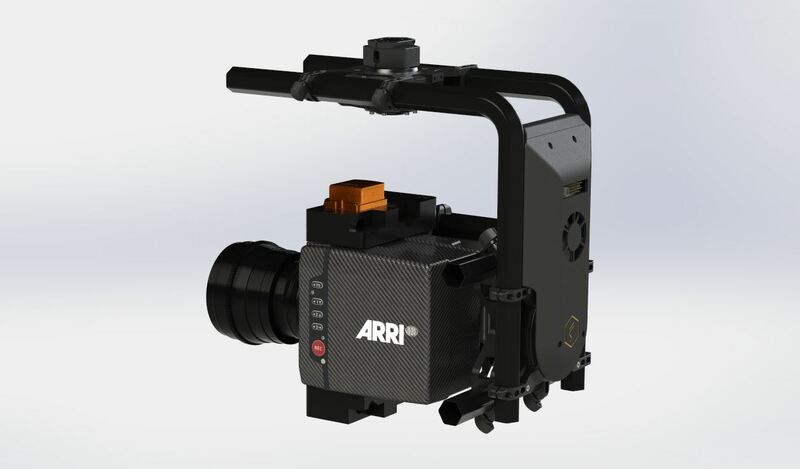 The camera manufacturer featured us on their website. 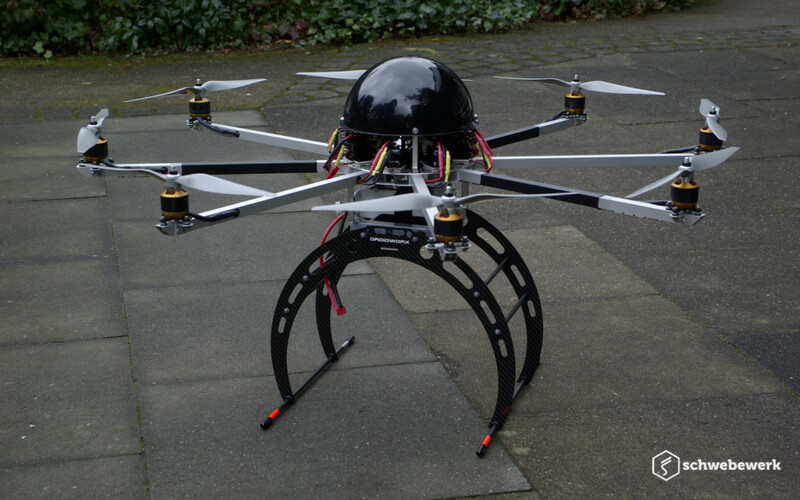 It all started in 2010, when cameraman Frederic Doss asked Stefan Müller to build an Octocopter. 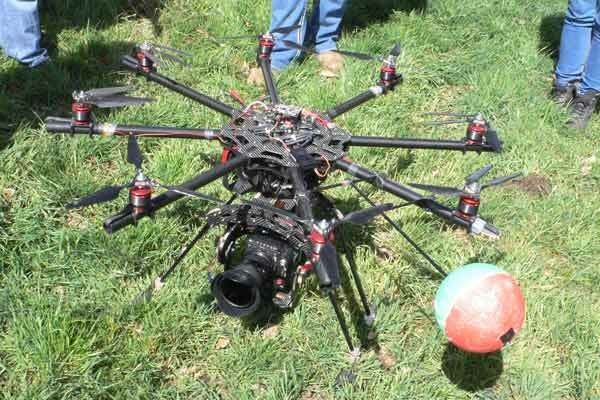 The first unit was used to produce corporate films for agriculture machinery with a Canon 5D mkII later with a Sony FS100. 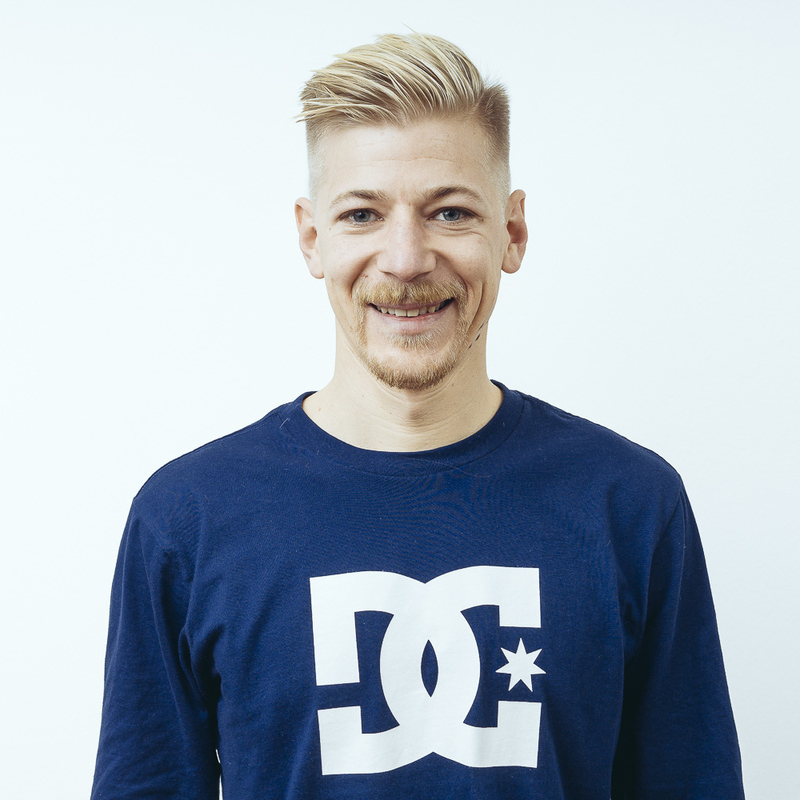 Stefan studied photography and worked as a camera assistant and lighting technician before he collaborated with Omstudios Berlin to develop the Omcopter in 2010. 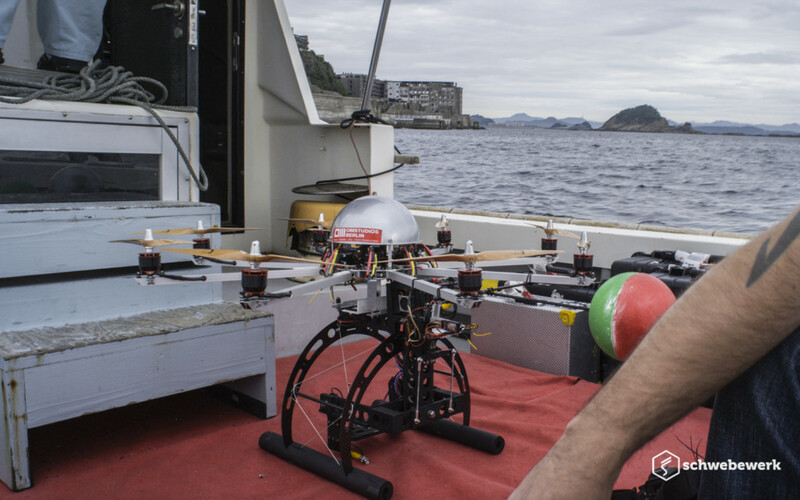 After building one of the first drones to carry a RED Epic he has been able to work on a broad range of feature films, commercials and documentaries. 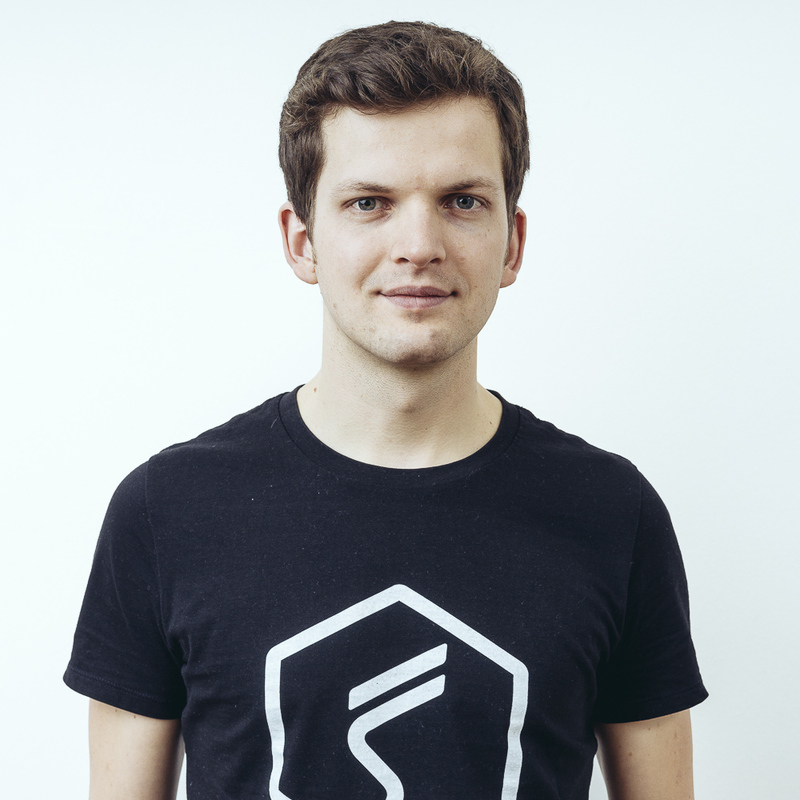 In 2015 Stefan founded Schwebewerk. 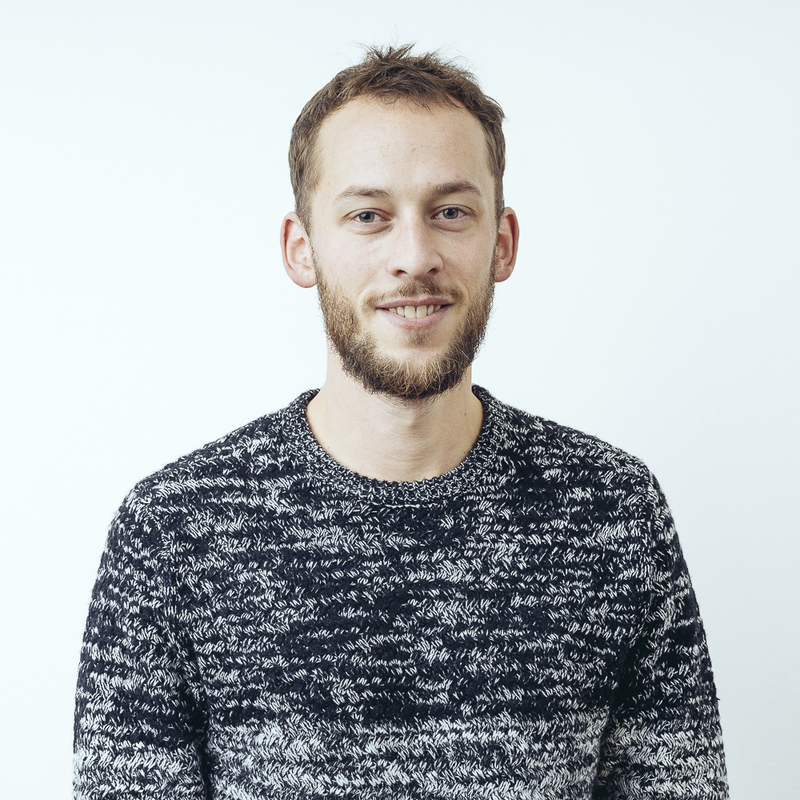 Benjamin joined Stefan and Omstudios in 2012 after gaining many years of experience as 1. assistant camera. He has a solid background in photography as well as in engineering and flying rc helis.